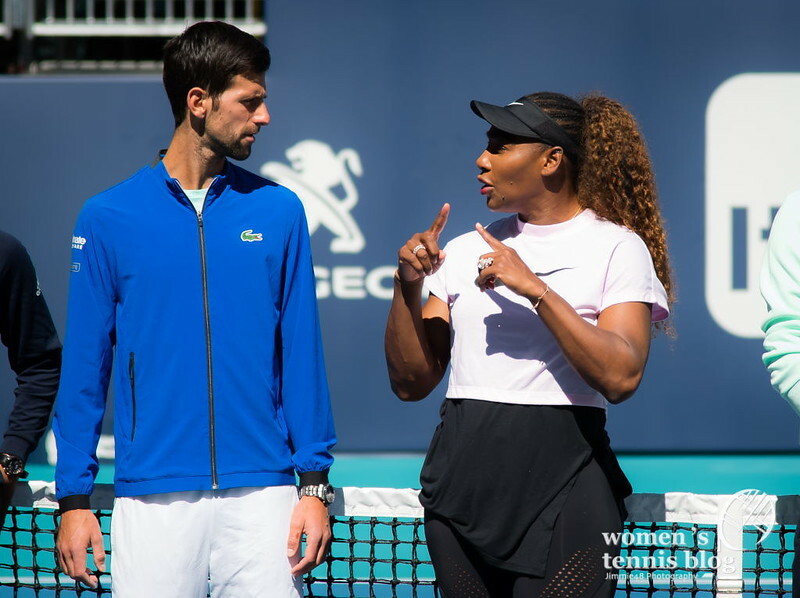 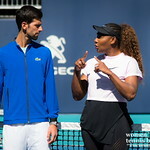 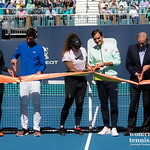 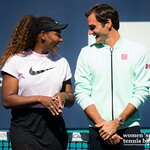 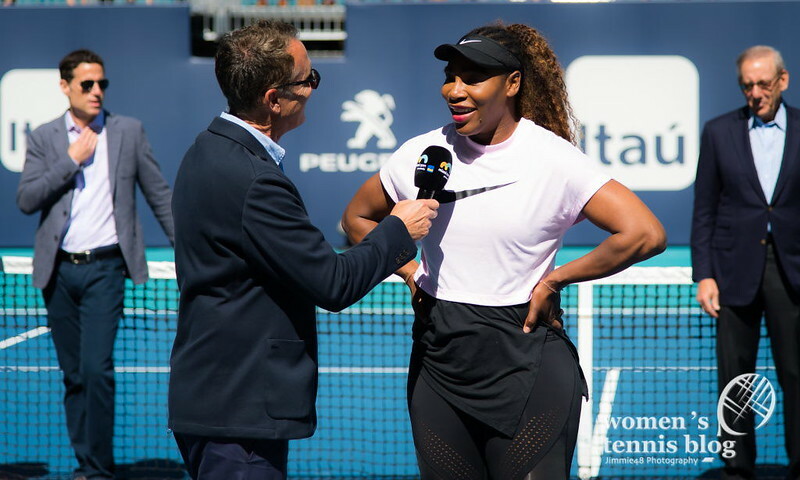 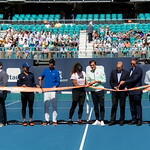 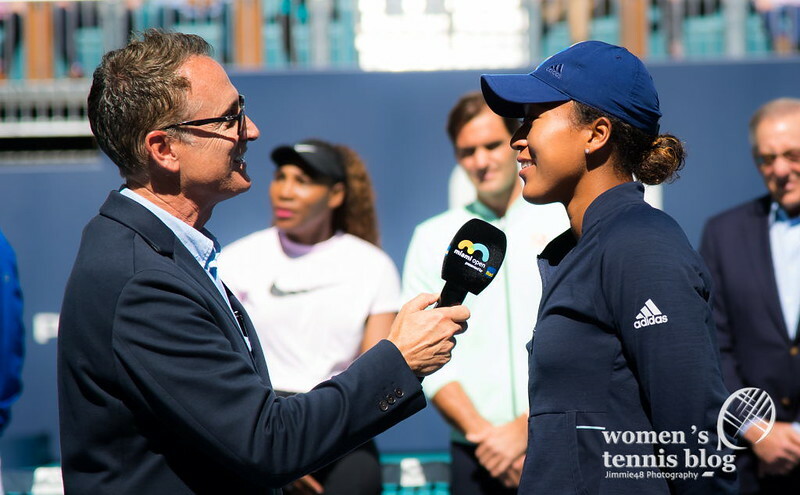 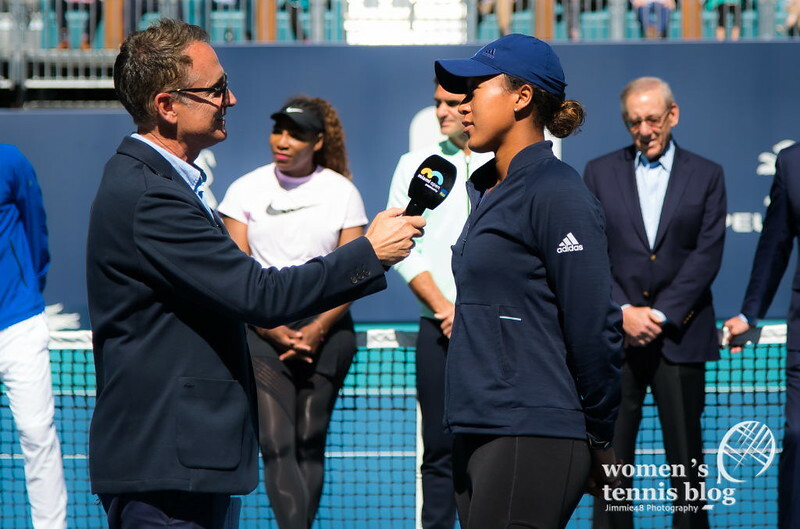 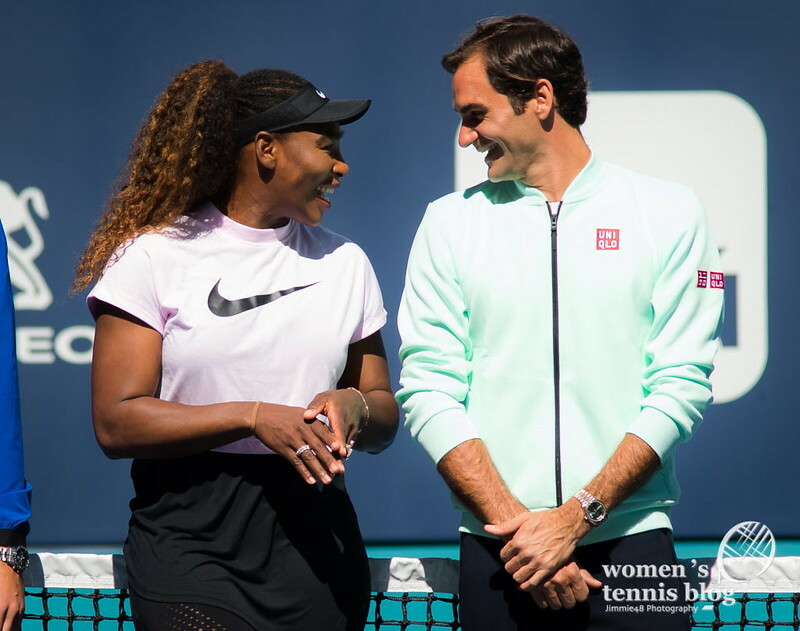 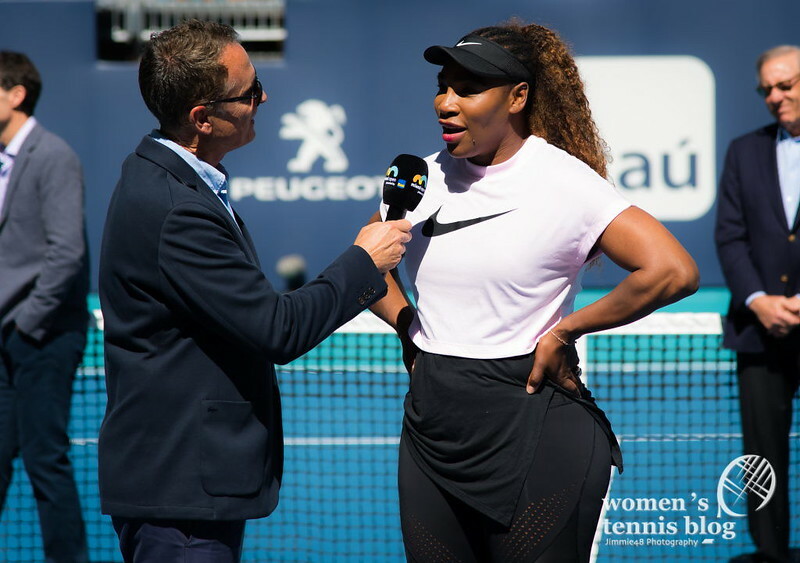 Since the 2019 edition of the Miami Open is the first in the Hard Rock Stadium, WTA and ATP aces Naomi Osaka, Serena Williams, Roger Federer and Novak Djokovic took part in a ribbon cutting ceremony on Wednesday. 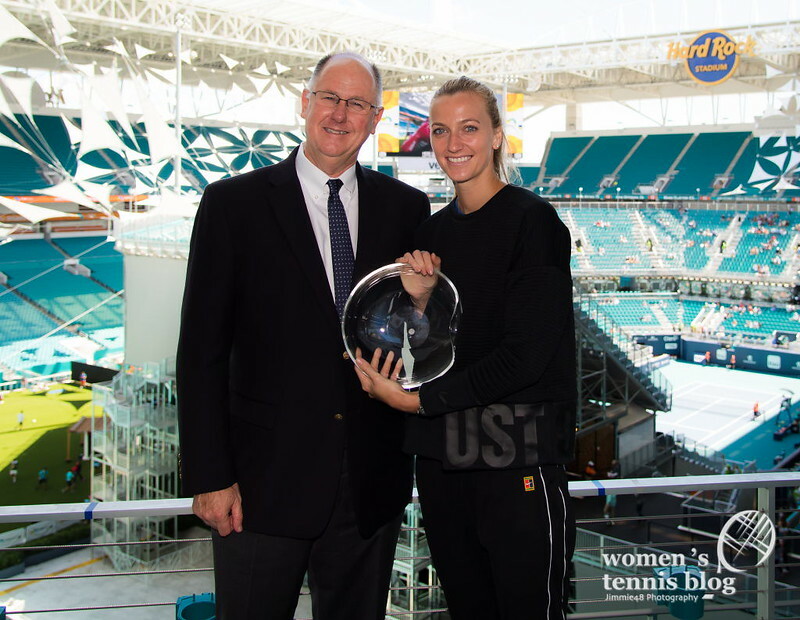 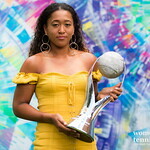 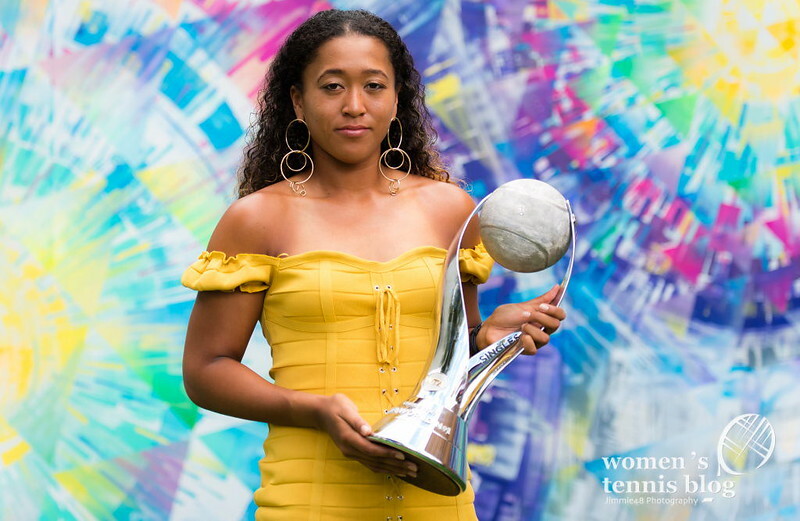 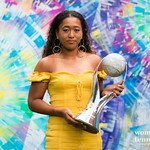 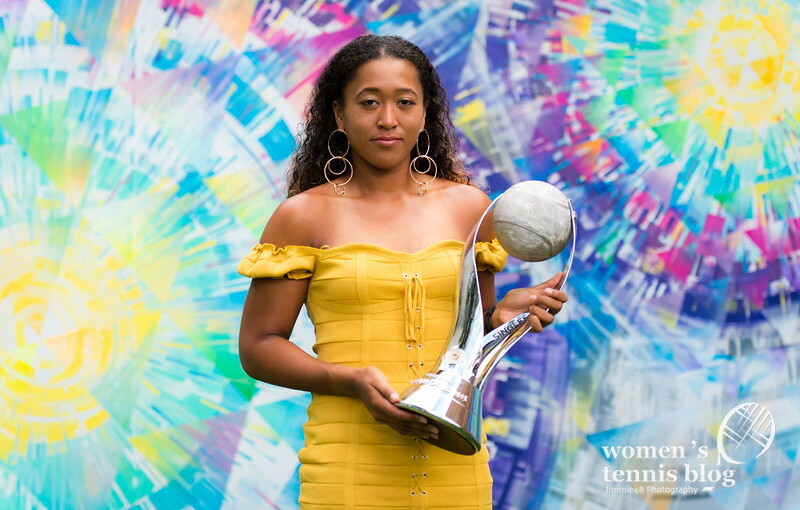 Petra Kvitova was honored by the WTA Karen Krantzcke Sportsmanship Award and Naomi Osaka accepted her WTA World Number One trophy (notice how the two-time Grand Slam champion saved her feet from heels until the photoshoot). 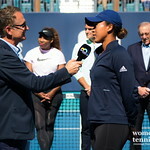 By the way, Naomi’s elder sister Mari is also in the draw, as a wildcard, and is scheduled to play fellow wildcard Whitney Osuigwe in the first round on Thursday. 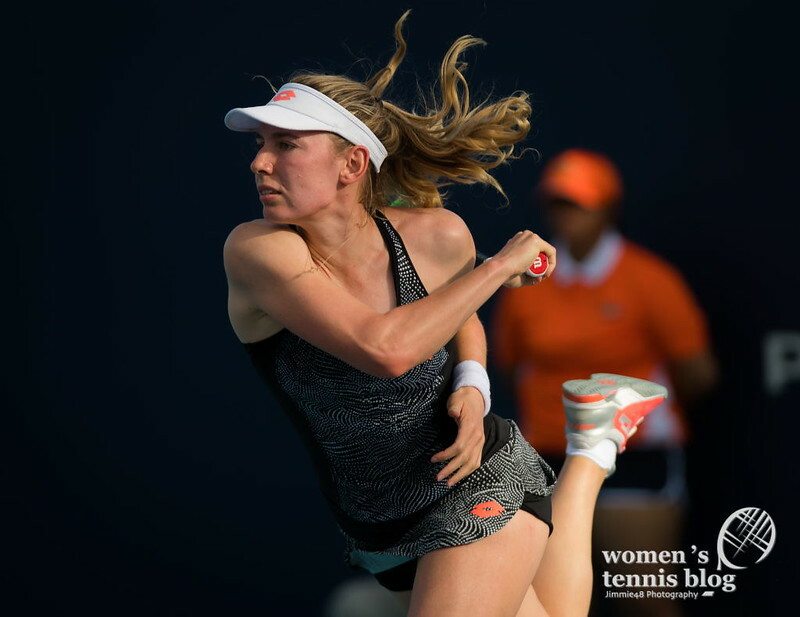 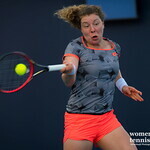 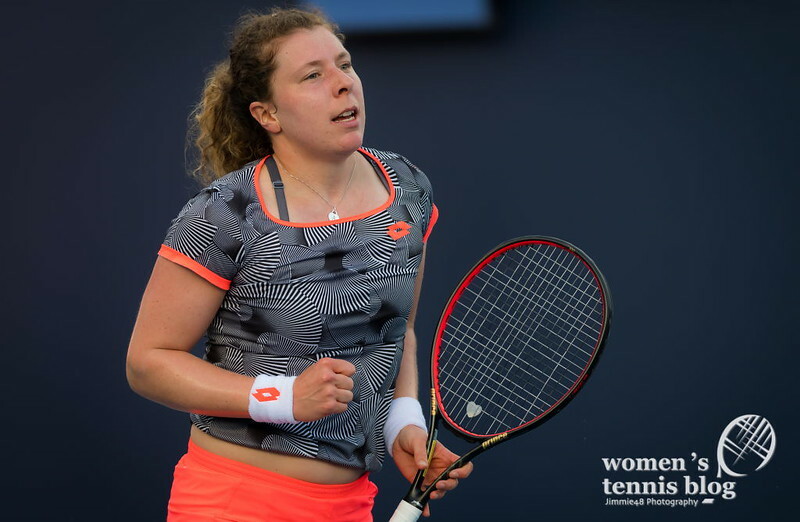 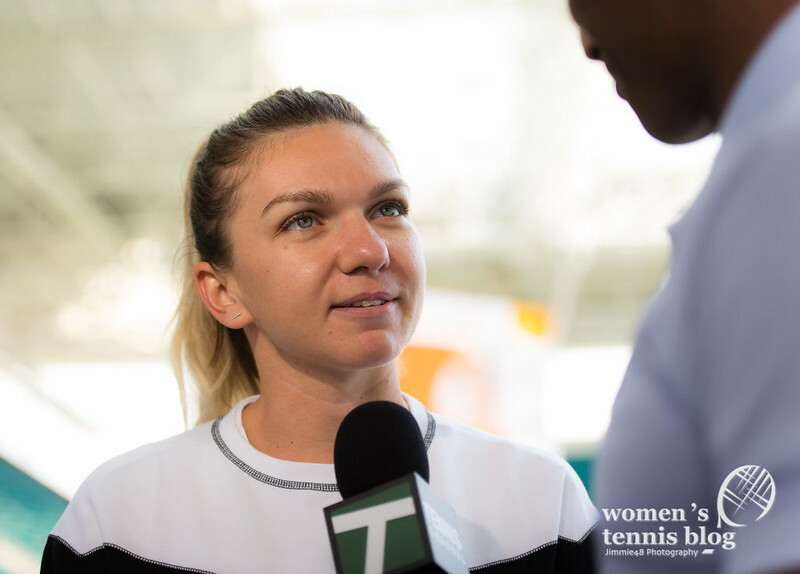 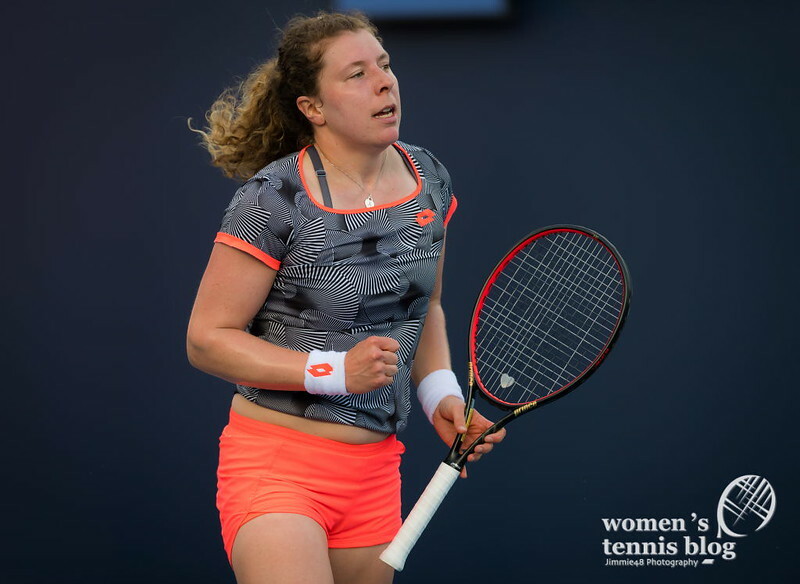 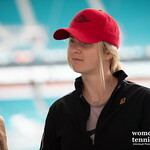 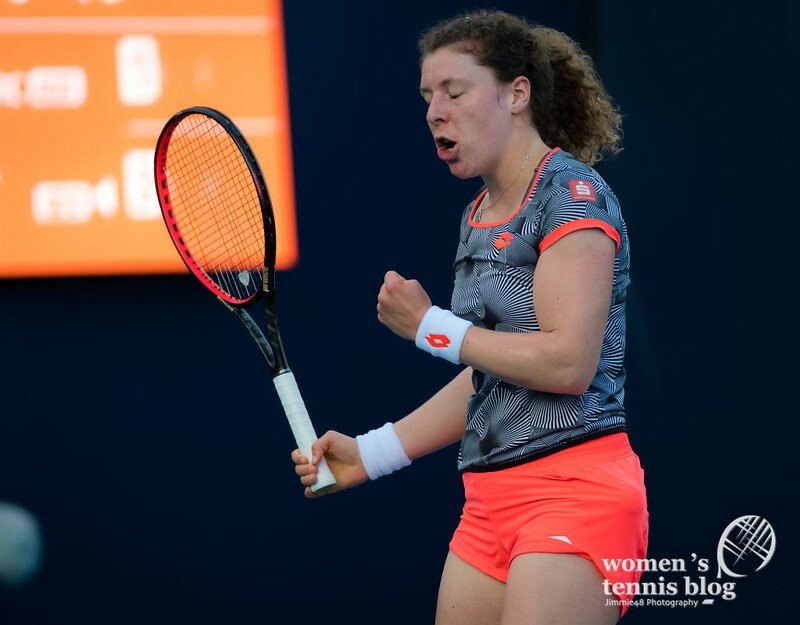 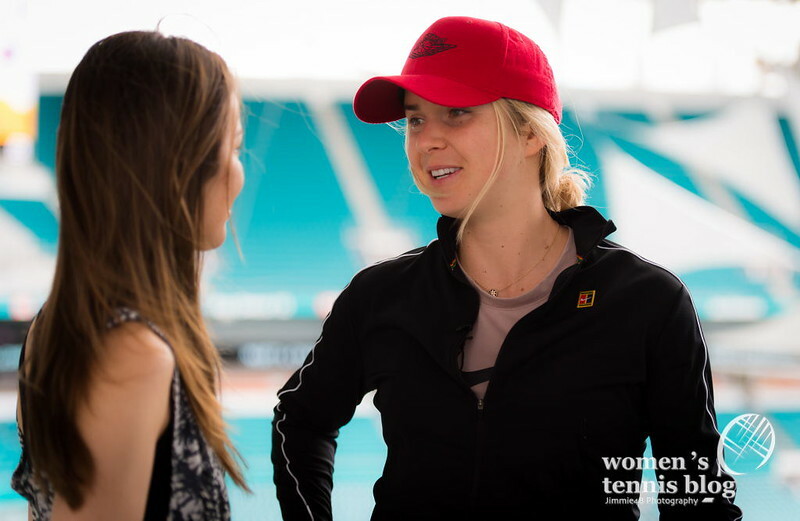 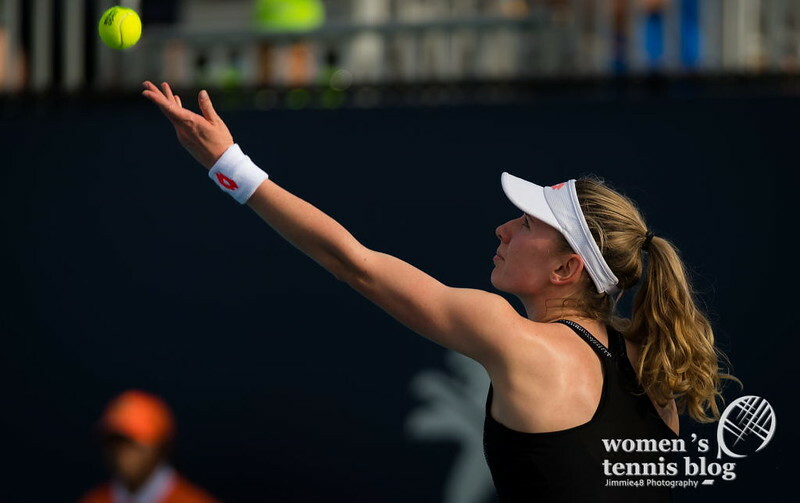 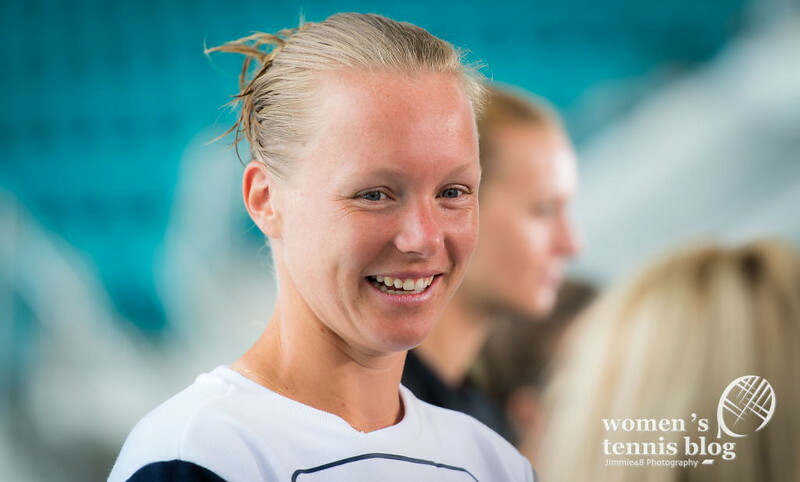 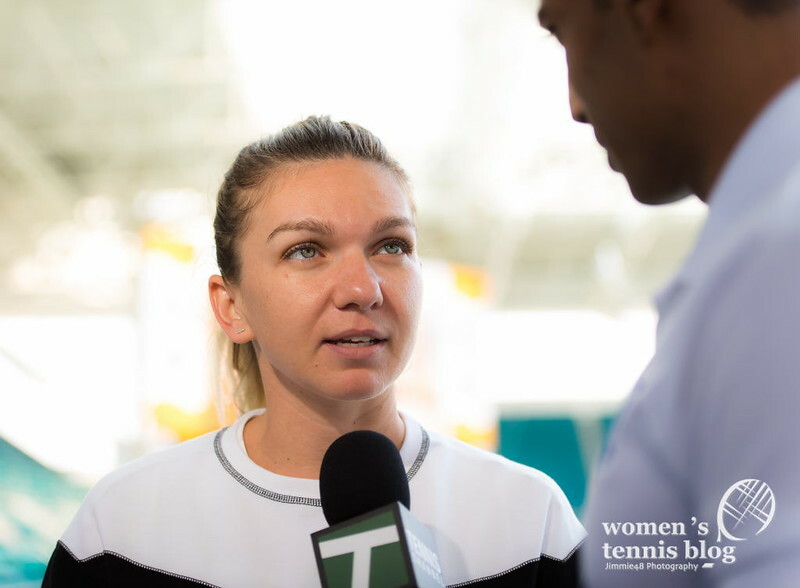 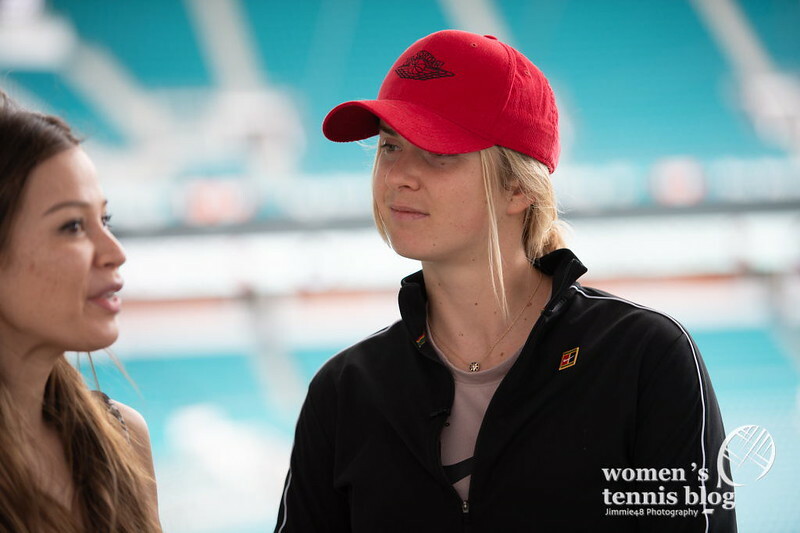 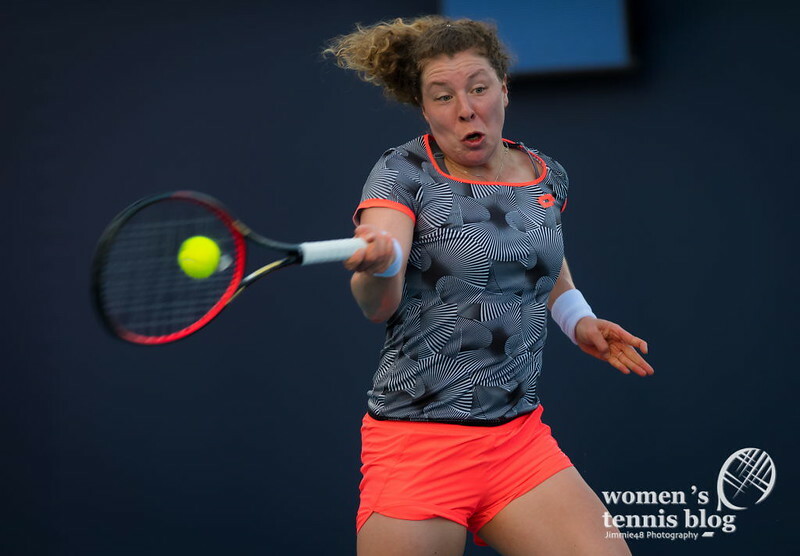 The WTA hosted an All-Access Hour, so members of the media chatted with Kiki Bertens, Elina Svitolina, and Simona Halep, who revealed that she is again working with Romanian coach Daniel Dobre. 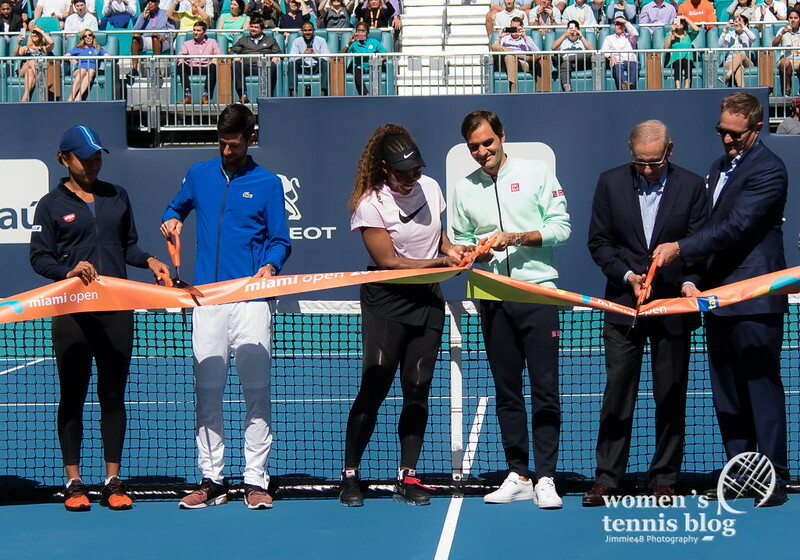 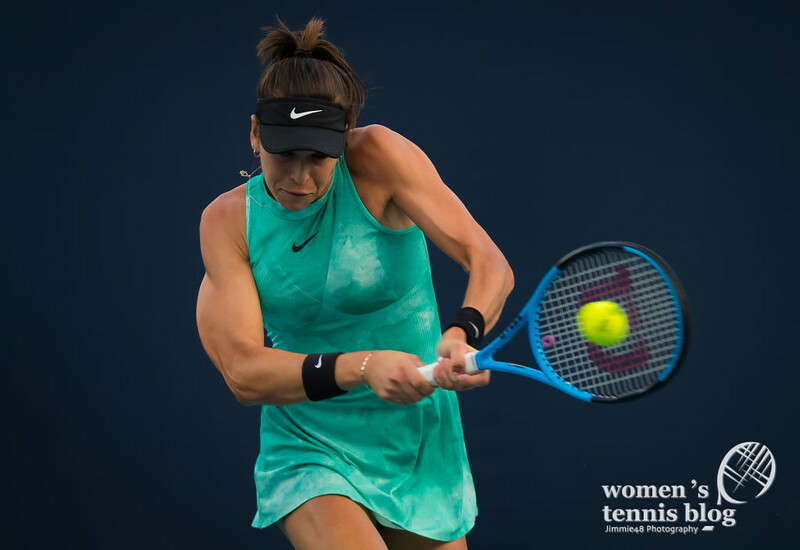 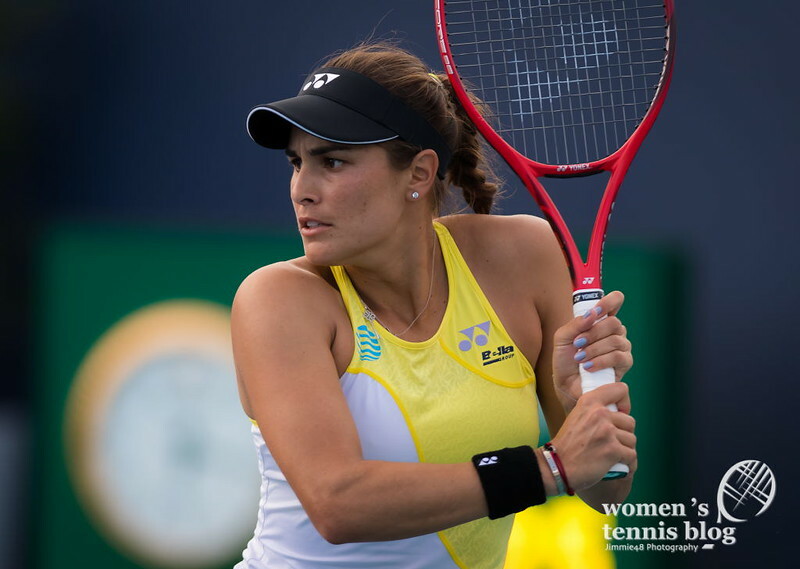 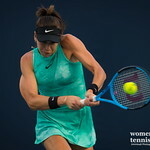 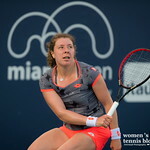 As the new Miami Open venue is home to NFL team the Miami Dolphins, we aren’t surprised that there was a lot of water on the courts — Wednesday’s schedule was quite affected by rain. 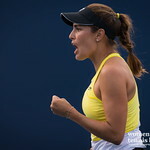 Still, the final round of qualifying completed and a lot of first-round matches took place. 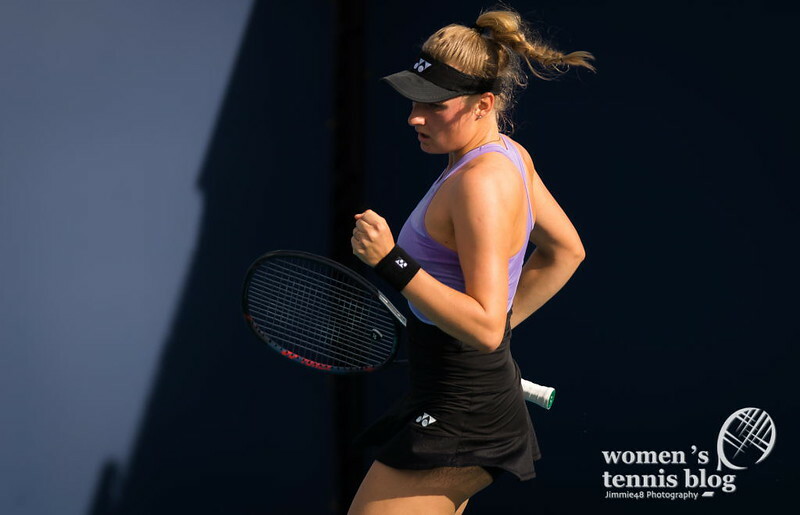 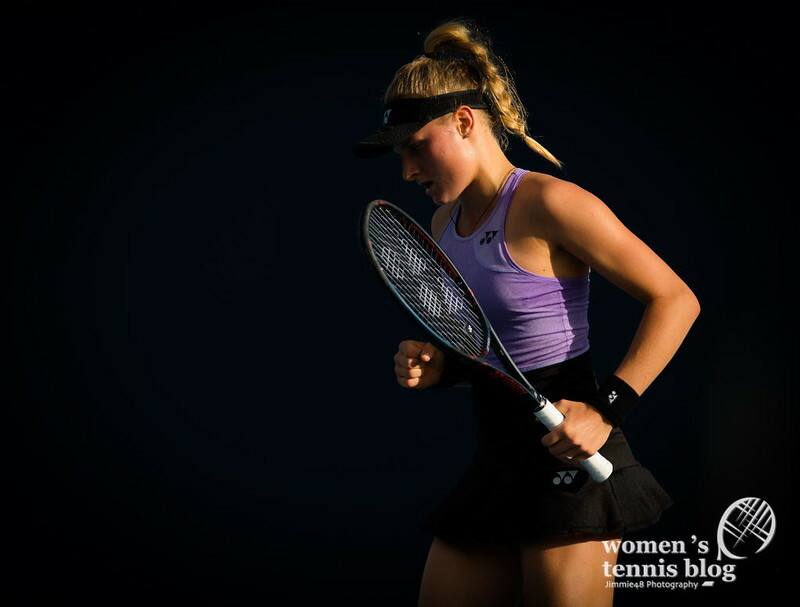 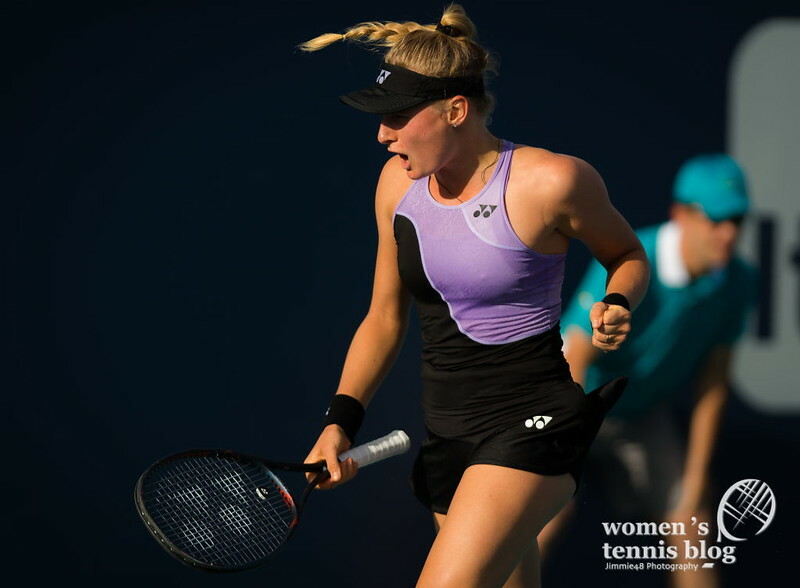 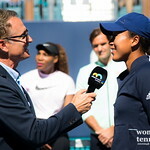 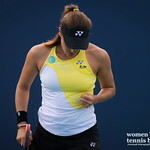 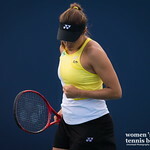 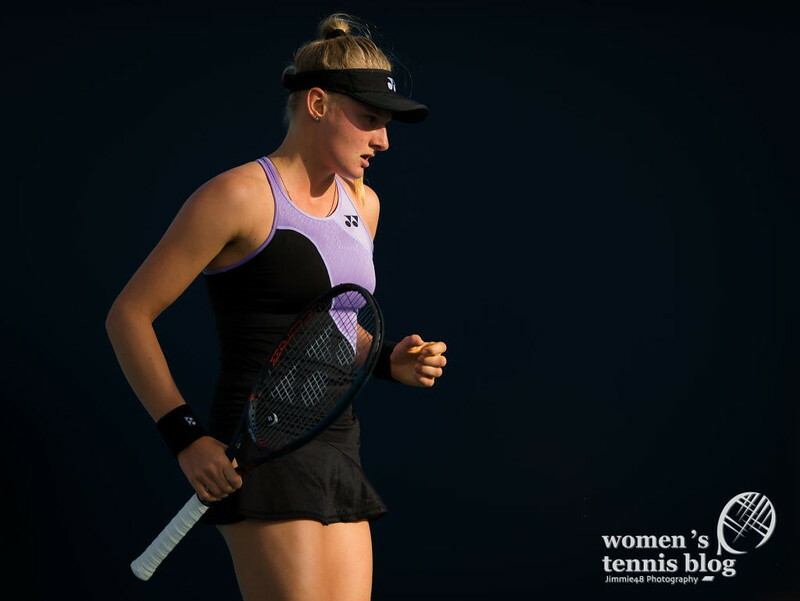 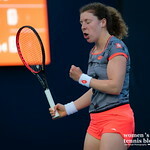 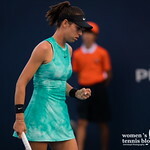 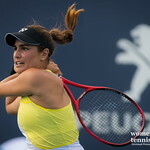 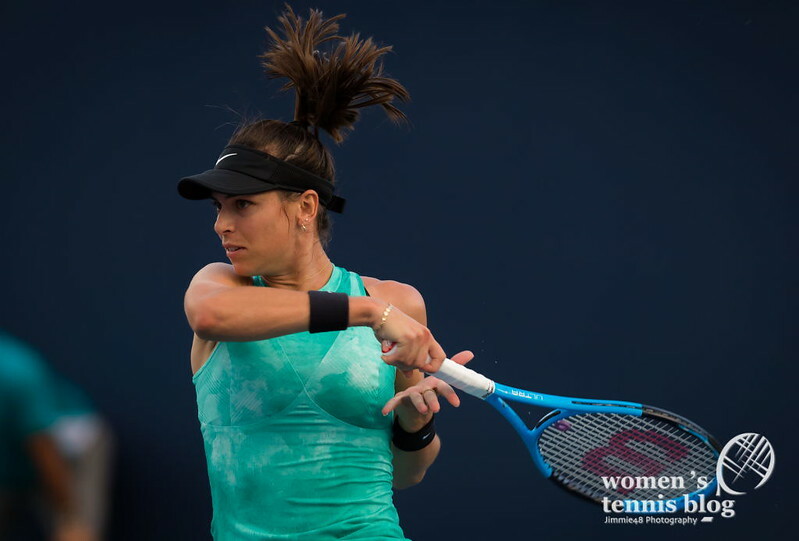 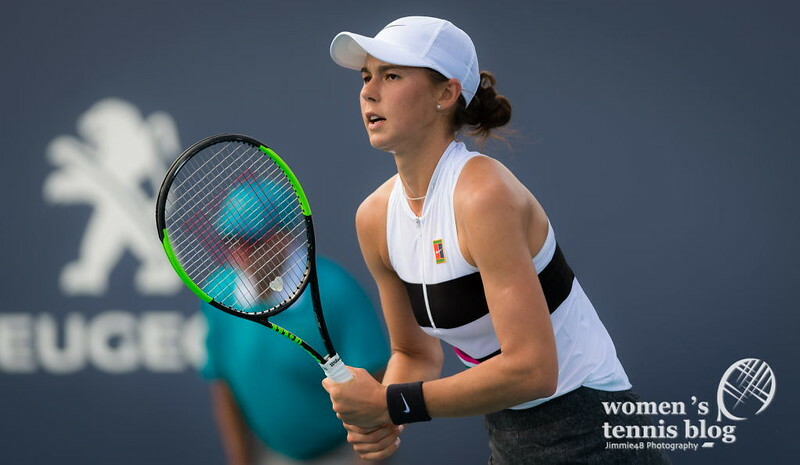 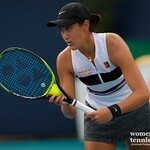 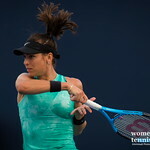 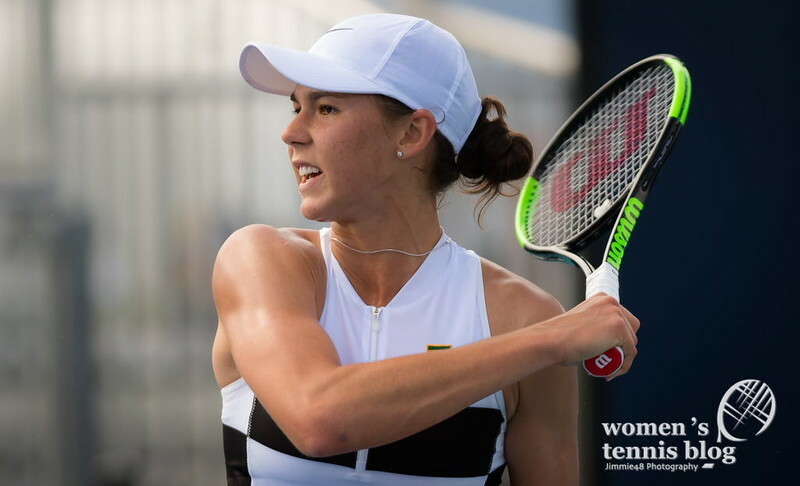 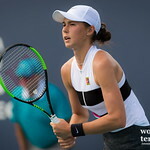 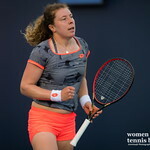 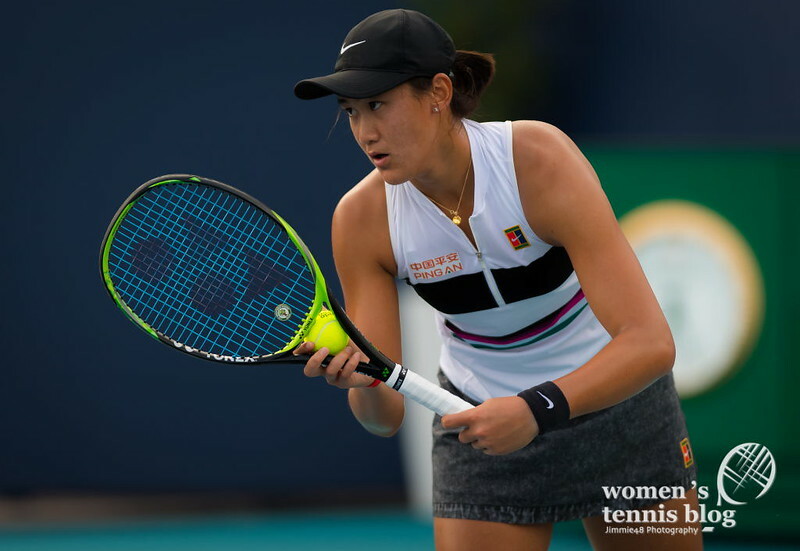 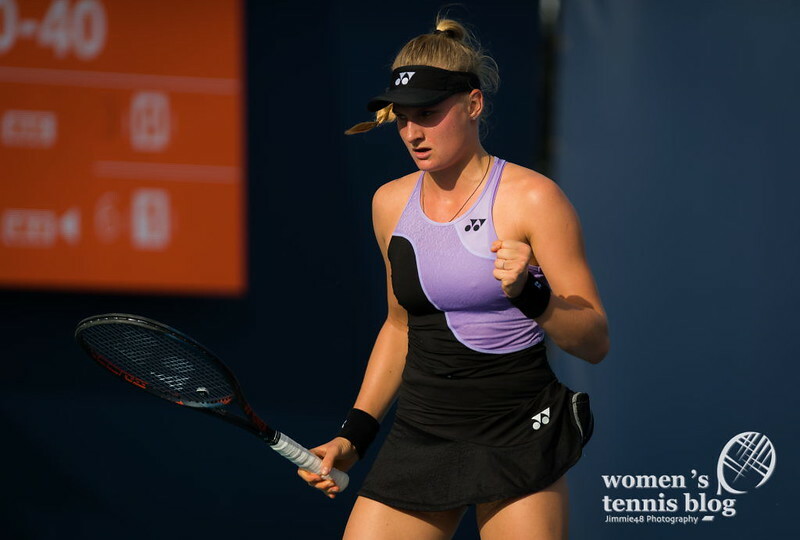 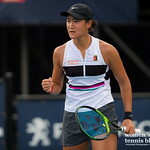 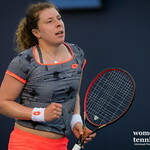 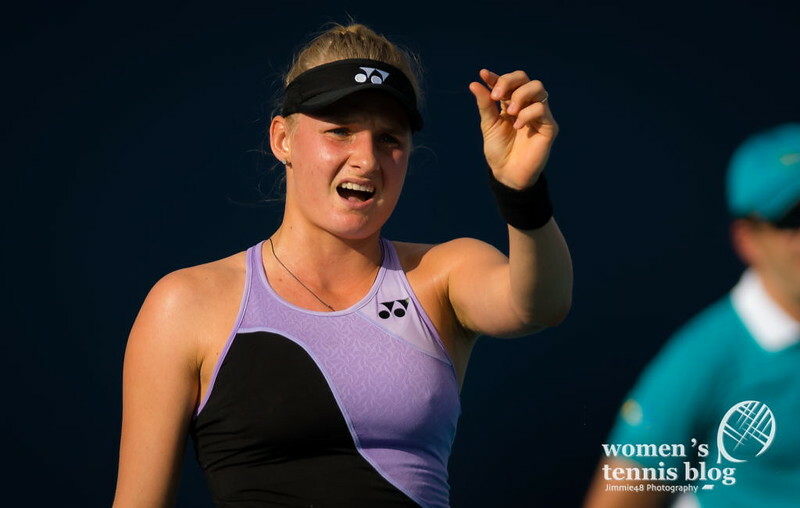 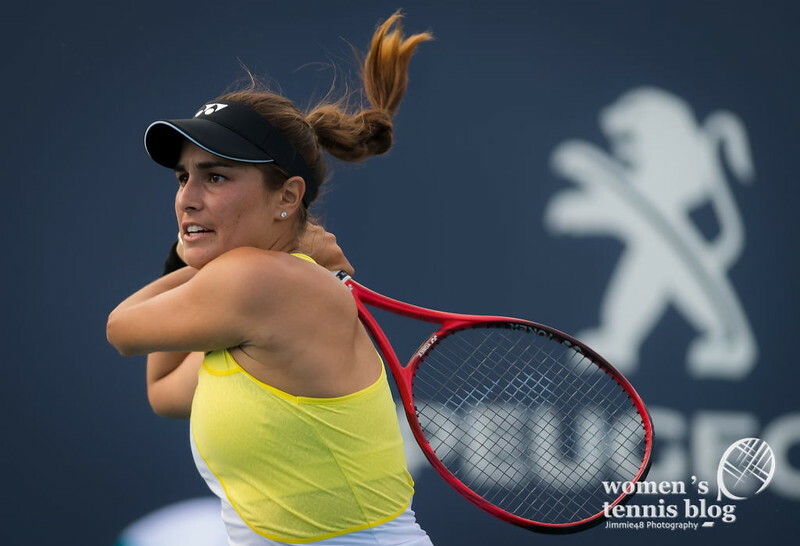 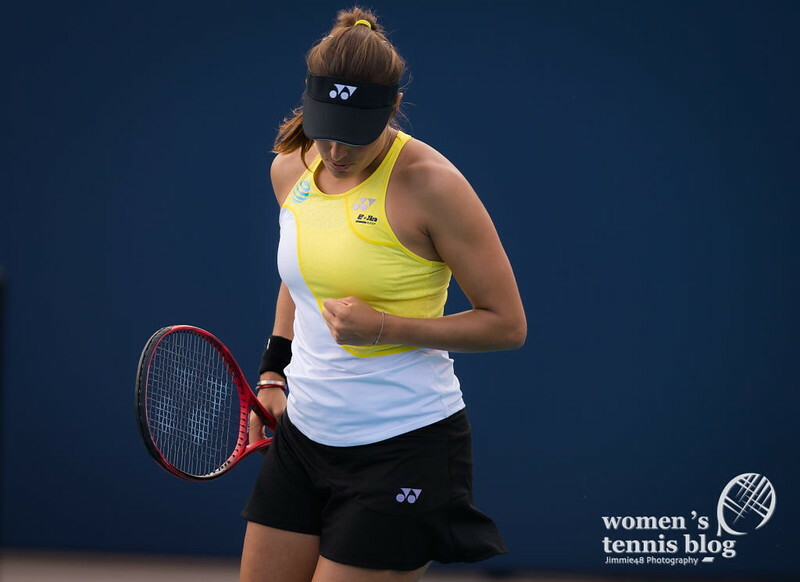 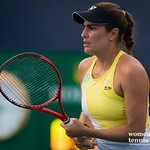 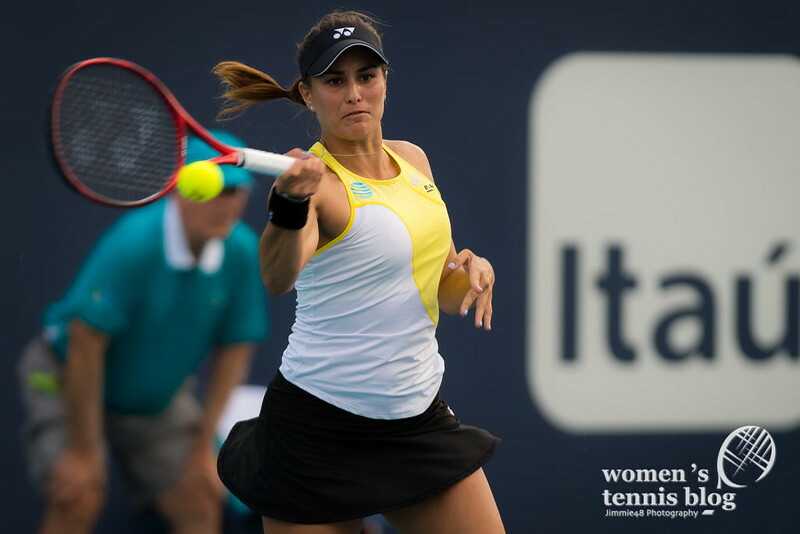 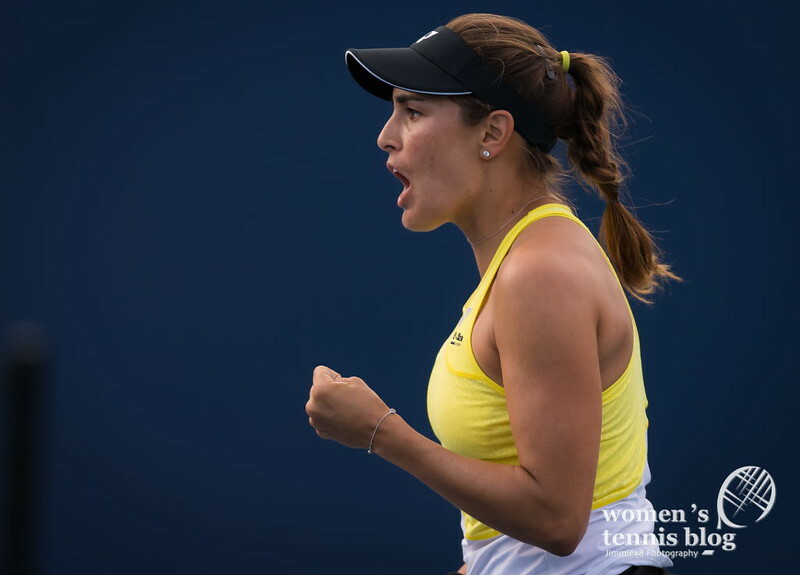 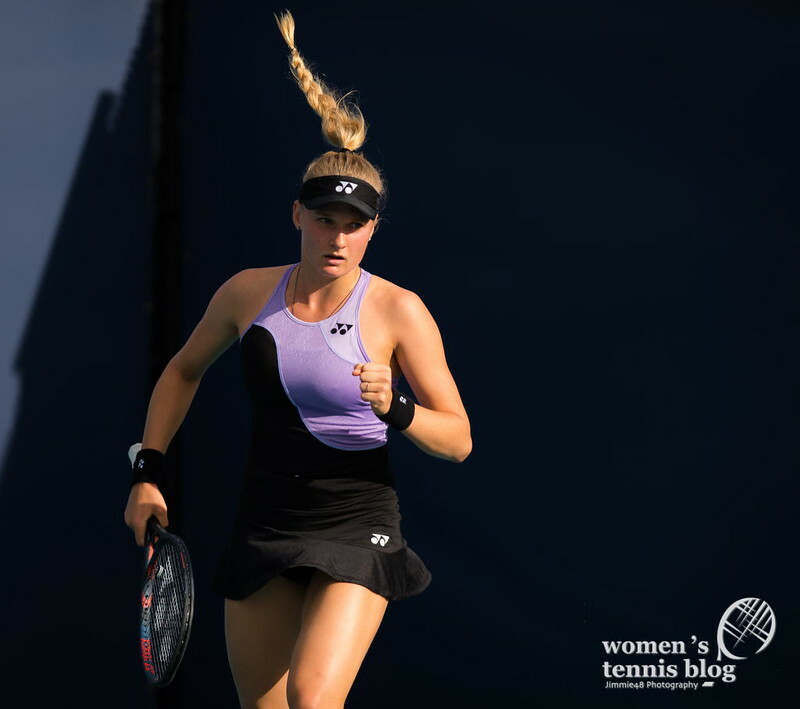 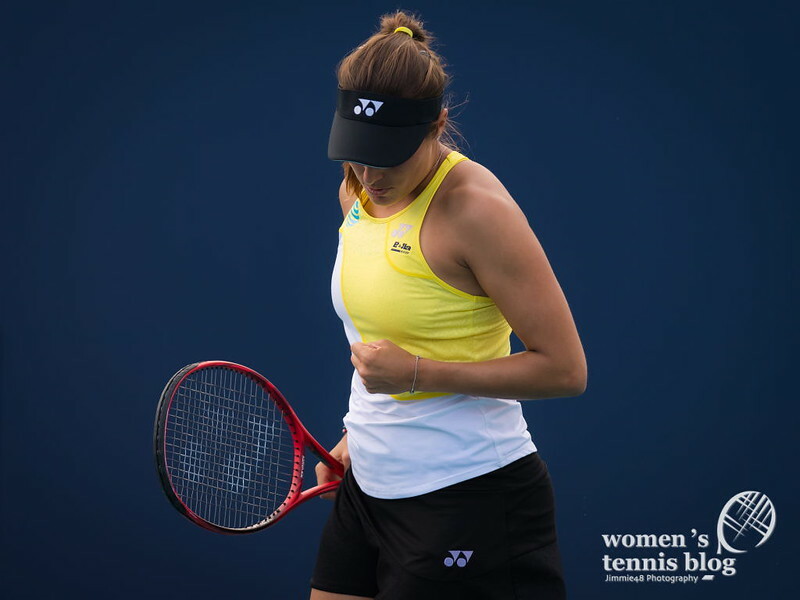 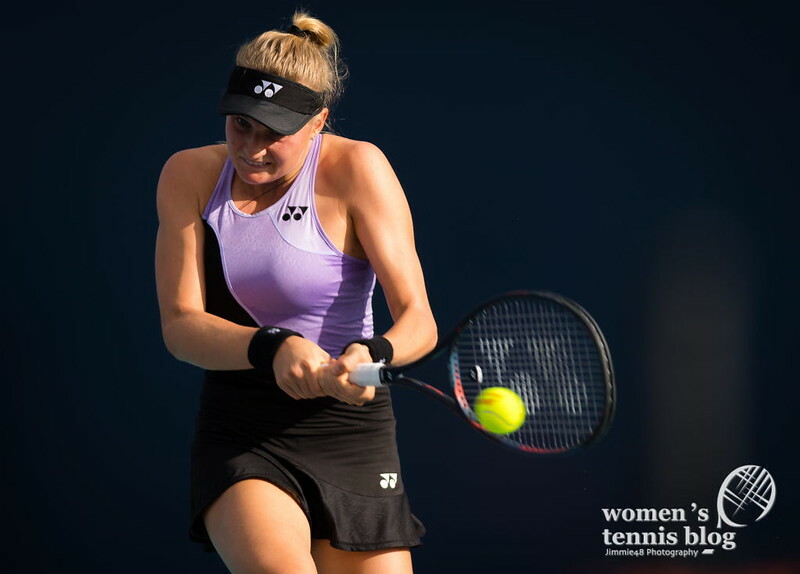 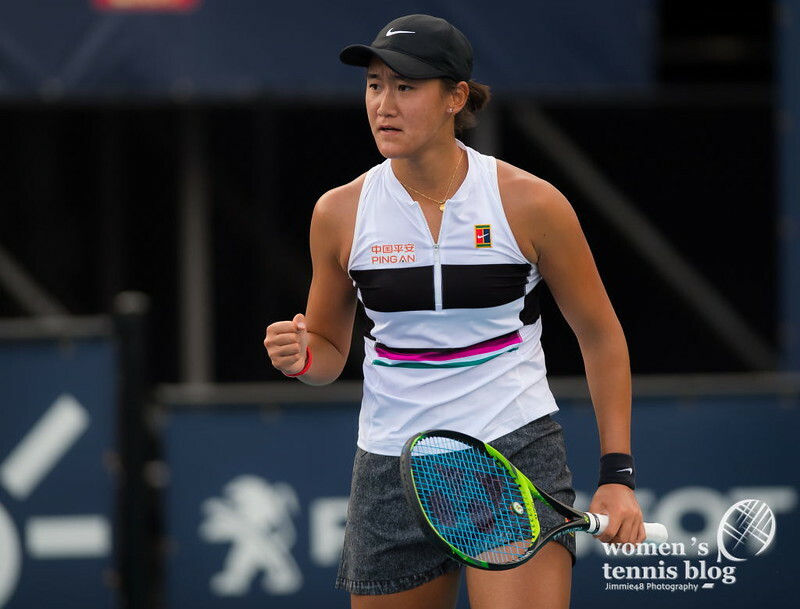 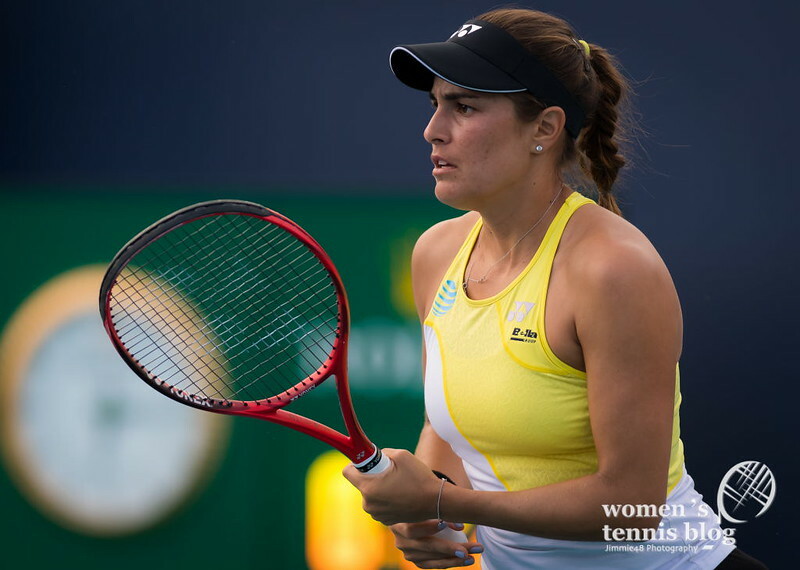 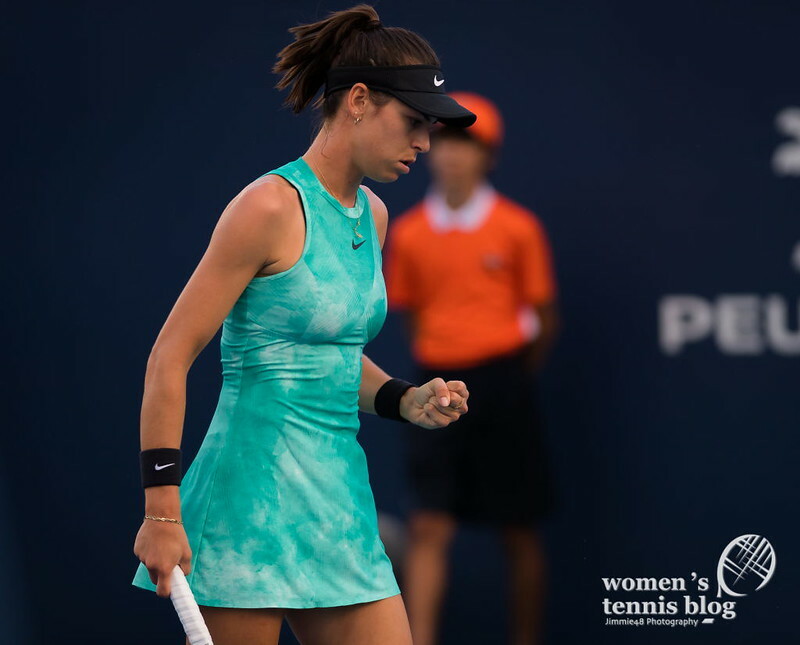 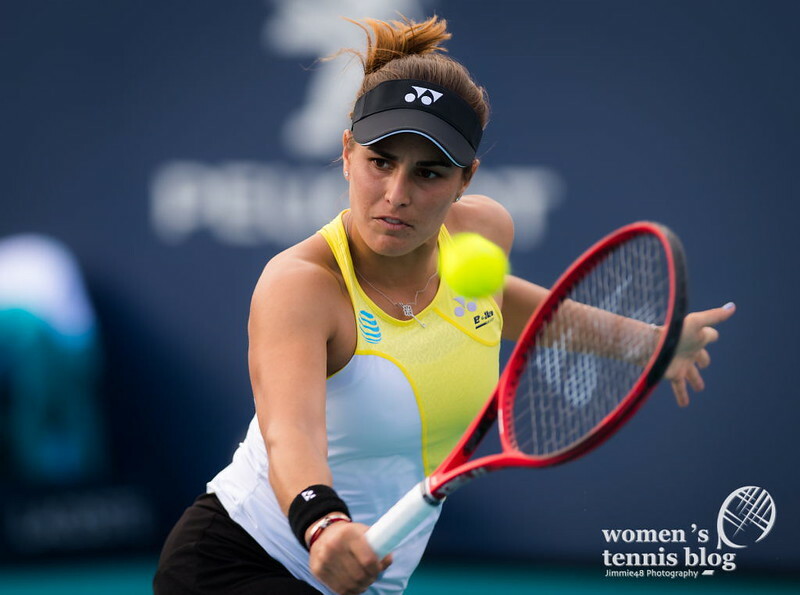 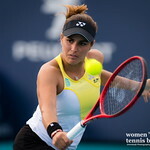 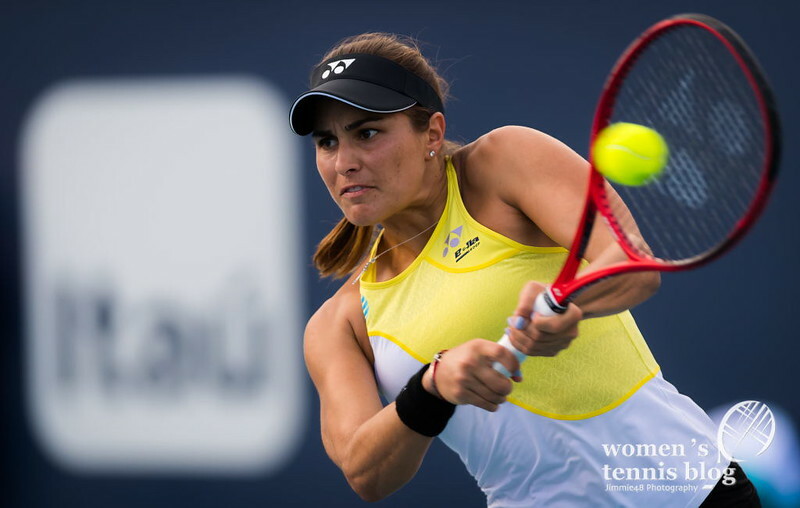 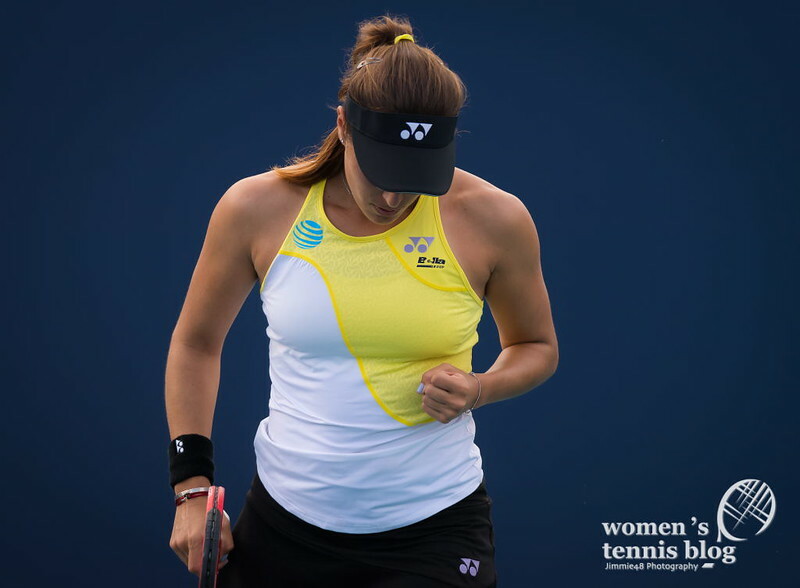 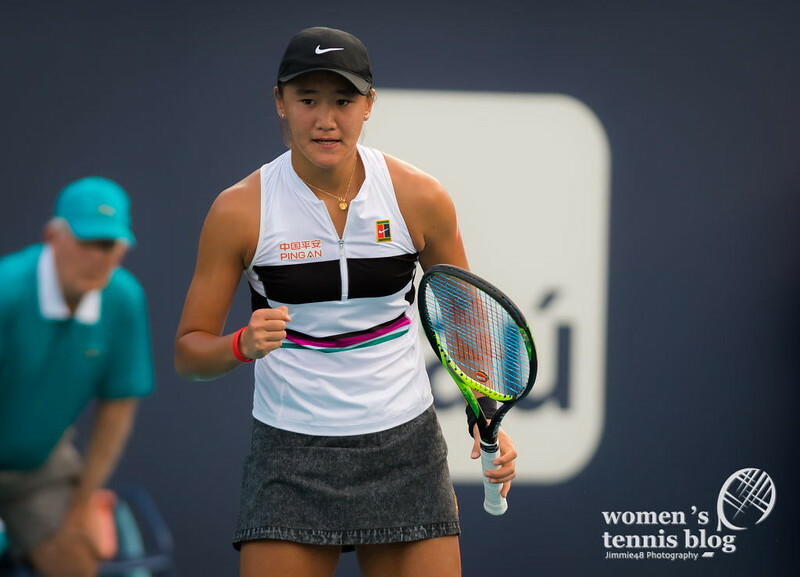 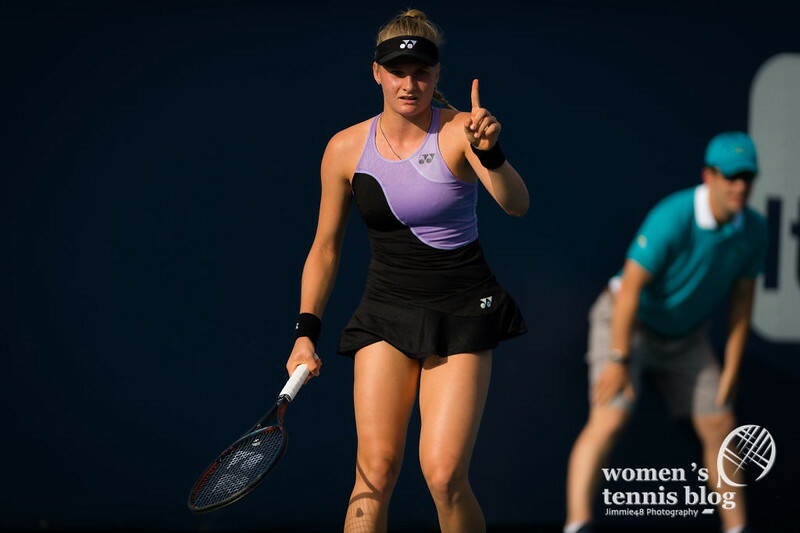 Our Jimmie48 made it to some matches, including seventeen-year-old Wang Xiyu‘s upset of Monica Puig 6-3 6-1 — the reigning US Open girls champion recorded her third Top 100 win and first main-draw win outside of her home country. 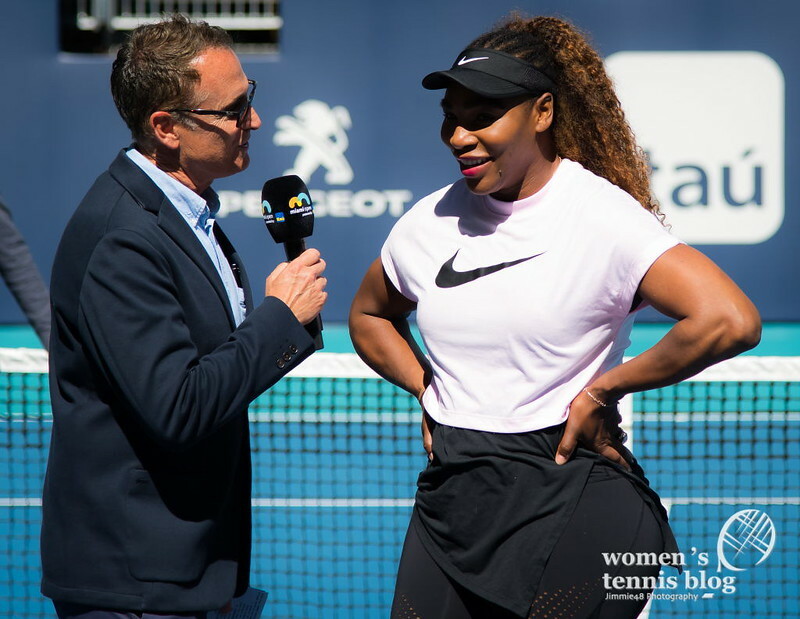 Venus Williams opens action-packed Thursday, followed by Petra Kvitova, Madison Keys and others. 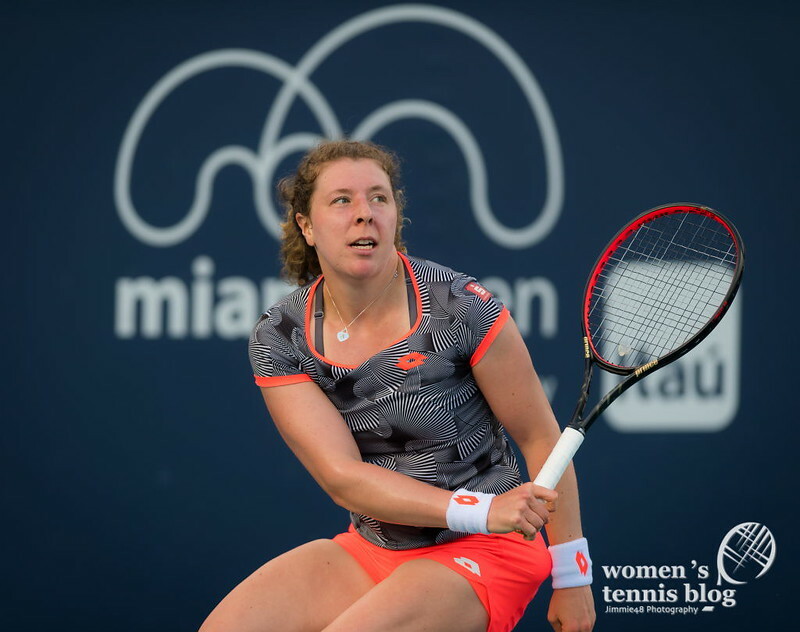 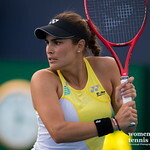 Stay tuned as we deliver updates from the Miami Open fortnight.